While the trailer starts off well enough, with some nice interplay between Billy and his new foster brother Freddy (Jack Dylan Grazer), the real turning point for both the teaser and the narrative comes with the transformation scene. 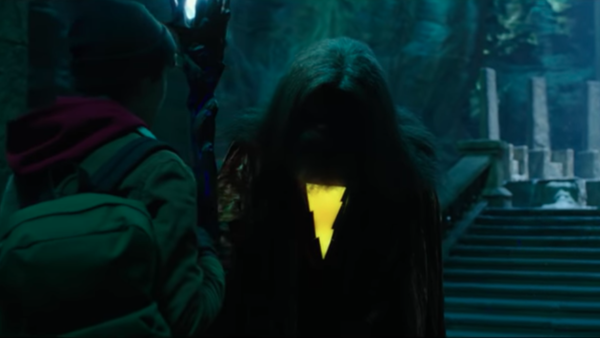 Young Billy stumbling upon Djimon Hounsou's Shazam, then being turned into the hero himself, is a fantastic way of introducing the character, with a great mix of charm, humour, and ever-so-slight eeriness. From there we get a brilliant training sequence as they test out his new powers, which not only proves to be comedy gold but lovingly deconstructs so many superhero abilities and tropes. There'll no doubt be bigger sequences in the movie (the teaser isn't giving much away in terms of the main plot or villain), but if there are any as purely enjoyable as these then it'll be something really great.